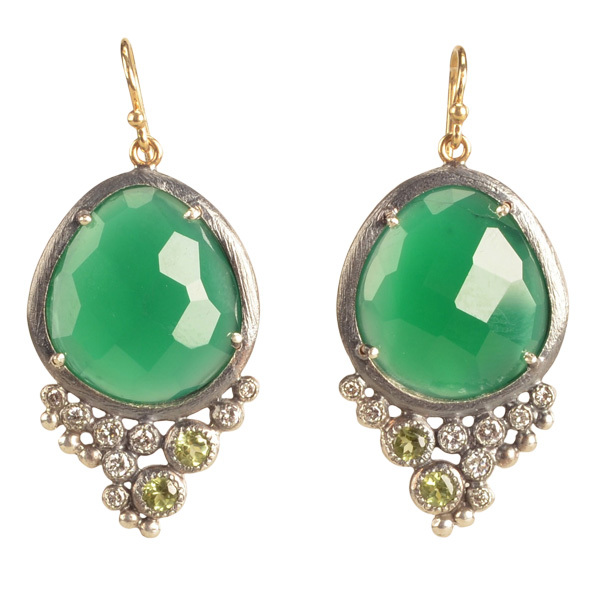 Rene Escobar silver and green onyx earrings, $1,188, Abersons. 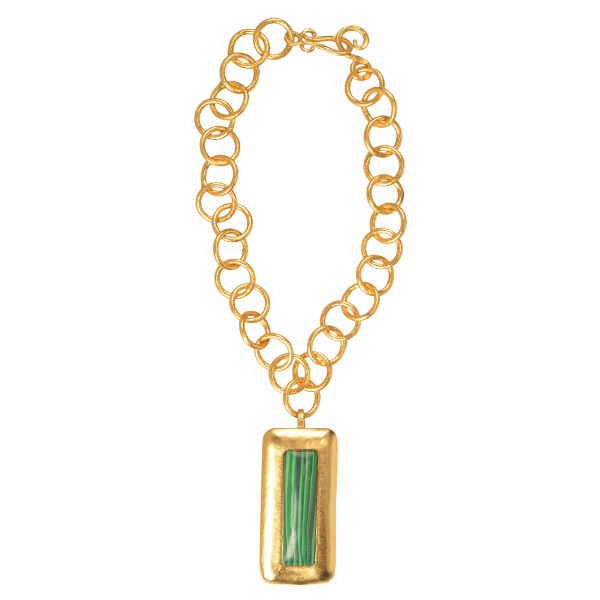 Stephanie Kantis 18-inch classic gold chain, $275, with rectangular malachite pendant, $495, Saks Fifth Avenue. 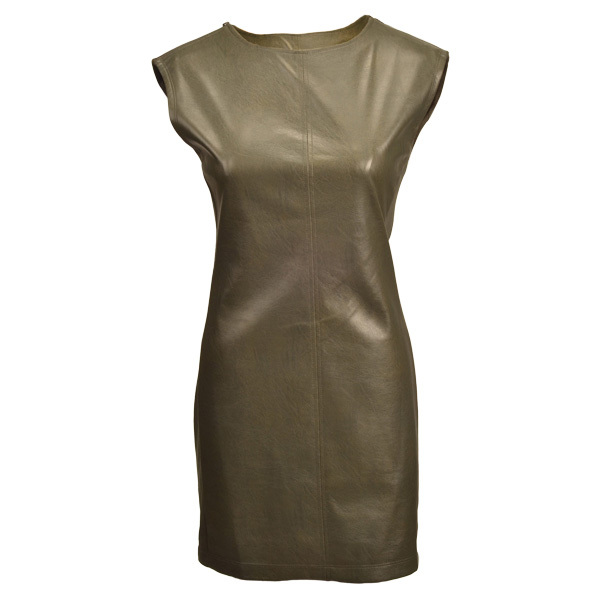 BCBGMAXAZRIA faux leather mini dress, $178, Saks Fifth Avenue. 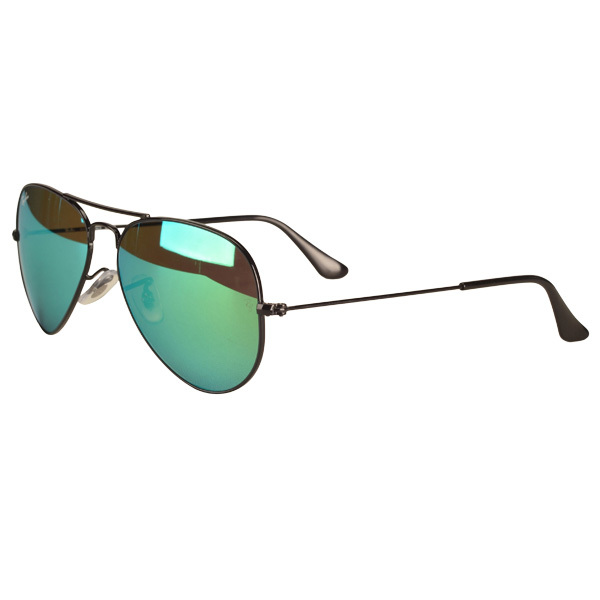 Ray Ban mirrored sunglasses, $179, Visions Unique Eyewear. 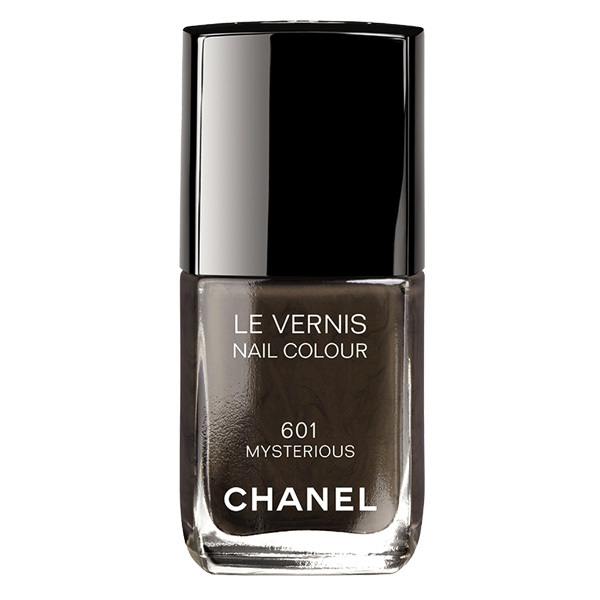 CHANEL Le Vernis Nail Colour in Mysterious, $27.00, Saks Fifth Avenue. Image courtesy of Chanel. 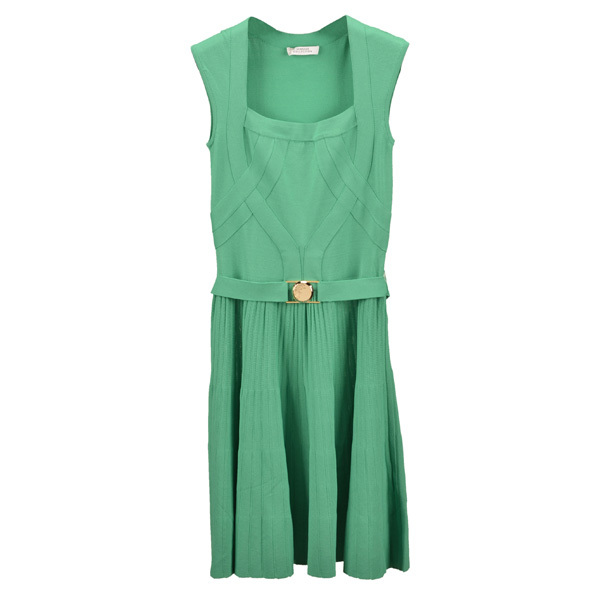 Versace knit dress, $525, Saks Fifth Avenue. Alexis Bittar wide Lucite and pave crystal hinged bangles; $295 and $175; Saks Fifth Avenue. 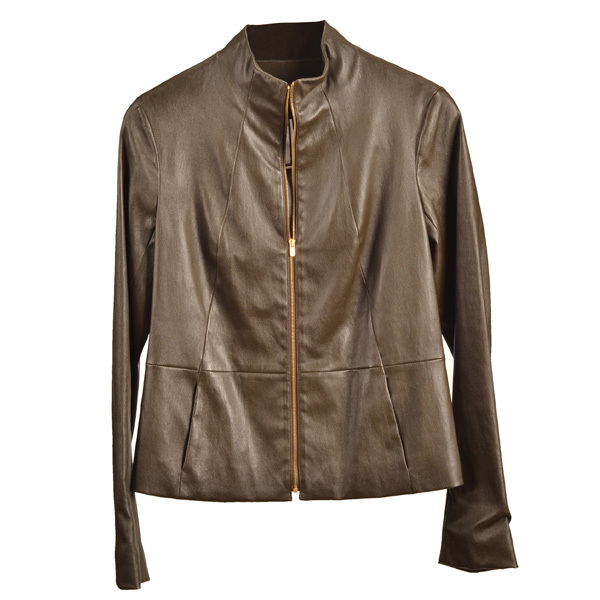 The Row leather jacket, $2,790, Abersons. Pedro Garcia camo wedge, $550, Abersons. 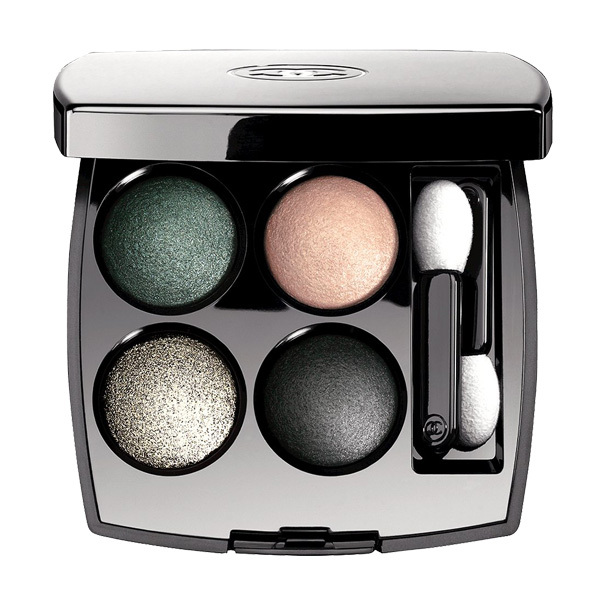 CHANEL Quadra Eyeshadow in Tissé Venitien, $61.00, Saks Fifth Avenue. Hanky Panky signature lace boy shorts, $29 each, Saks Fifth Avenue. J. 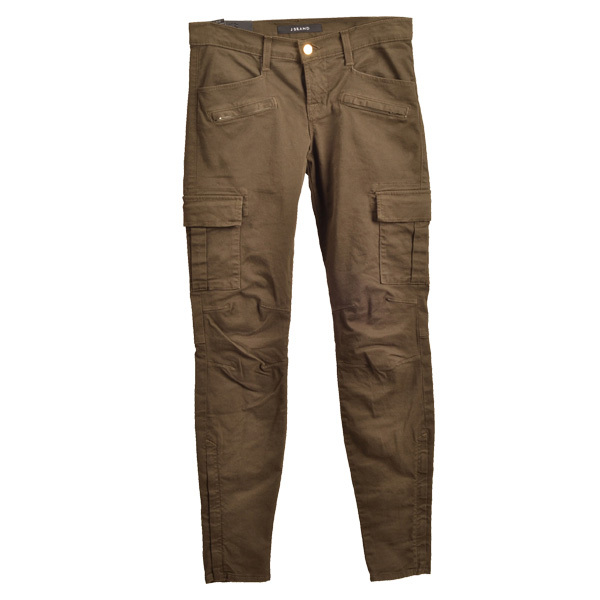 Brand olive cargo jeans, $195, Abersons.